I have never added pineapple to my cakes. I have never even made a pineapple upside down cake. But this was wonderful. 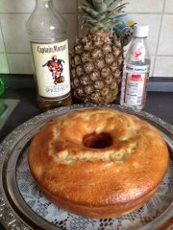 A Very simple basic cake recipe, with the add on of a pineapple reduction. That above, was very easy. I used a Pampered Chef Pineapple cutter, Although, you still have to cut the ends off or it wont work. Make sure to cut all the eyes and skin off. Chop into pieces, it called for 1 inch pieces but I just kind roughed it. The reduction is similar to a SIMPLE SYRUP in the process. But you are adding a flavor: Vanilla and Pineapple and you are reducing the amount of liquid overall. When reduction is done, Save juice and pineapple in a bowl. You will be separating later. 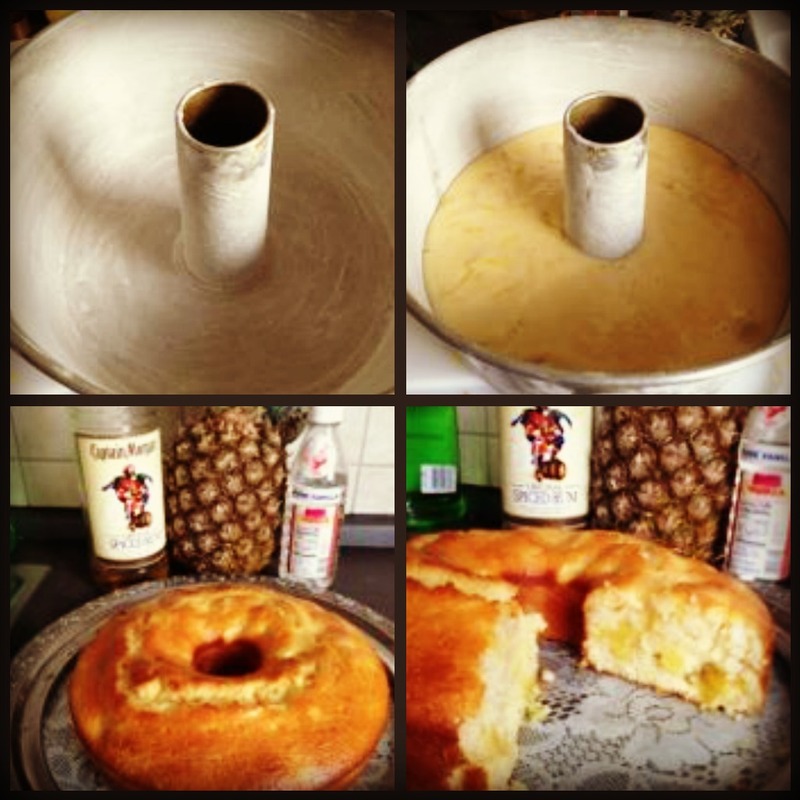 Pineapples go into the cake and the juice goes on the cake at the end. 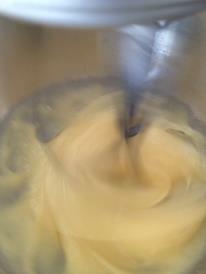 Cake Process: Pretty much a basic cake, which can be changed anywhere in between. You could choose to add additional items to this cake on top of the Pineapple. 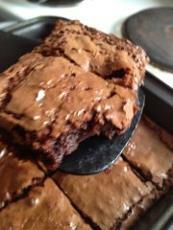 I added Spiced Rum in the cake batter as well as the juice reduction. See the Light yellow color. 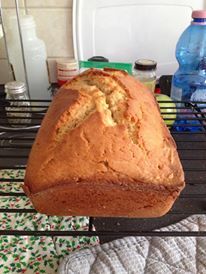 This cake was a little out of order from what I usually go for, it had you pour each item in separate, the flour goes in before the baking powder. 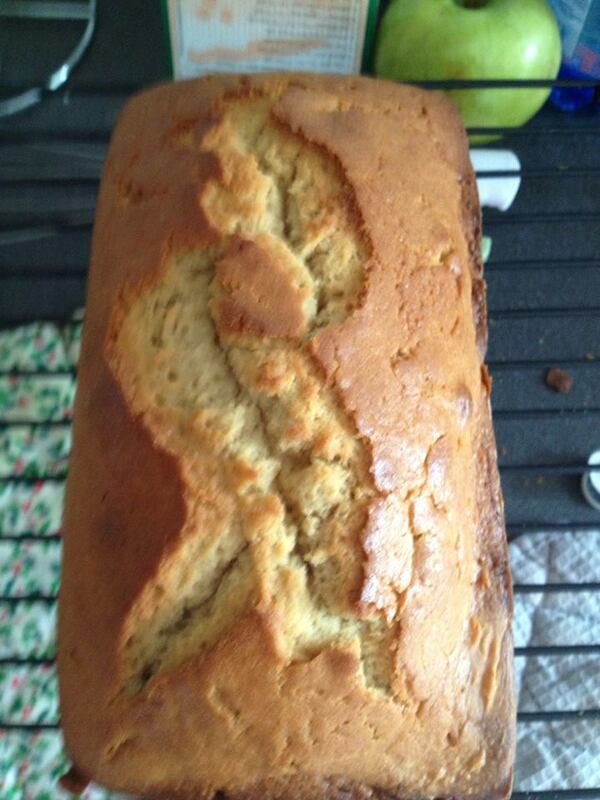 I mean to most people that wouldn’t seem strange, but I bake quite a bit. 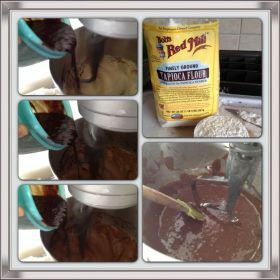 Usually it has you combine the flour and baking powder before adding it to the mixture. You can very well do that. I don’t suppose it makes much of a difference in the end, as long as the baking powder is distributed in the batter well. 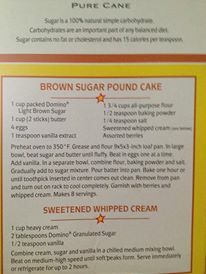 Make sure to measure your Baking Powder, because it is a leavening agent and too much or too little can cause the cake to not rise or rise too much. Butter, I suggest adding it while your mixer is on. Remember to add the pineapples (no juice) just barely mixing so you don’t crush the pineapple too much. 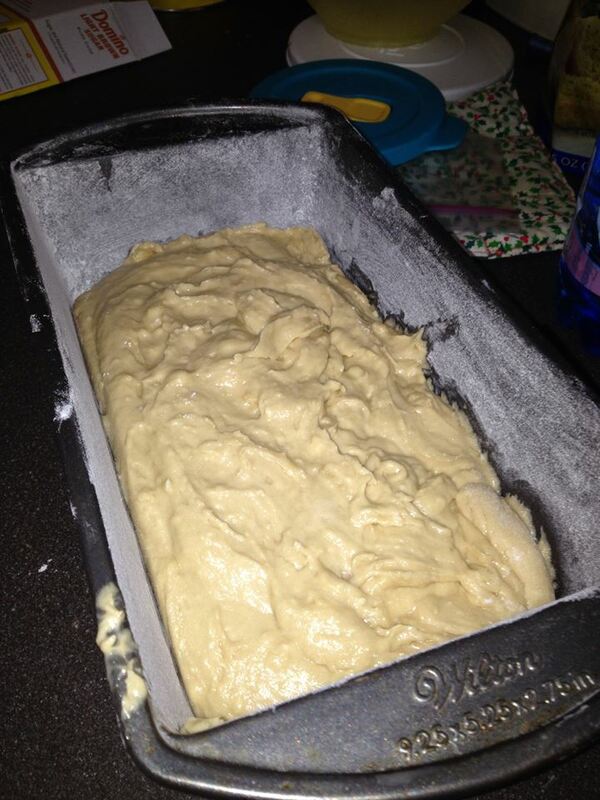 The batter will be a bit more loose because of the pineapple and it’s juicy structure. 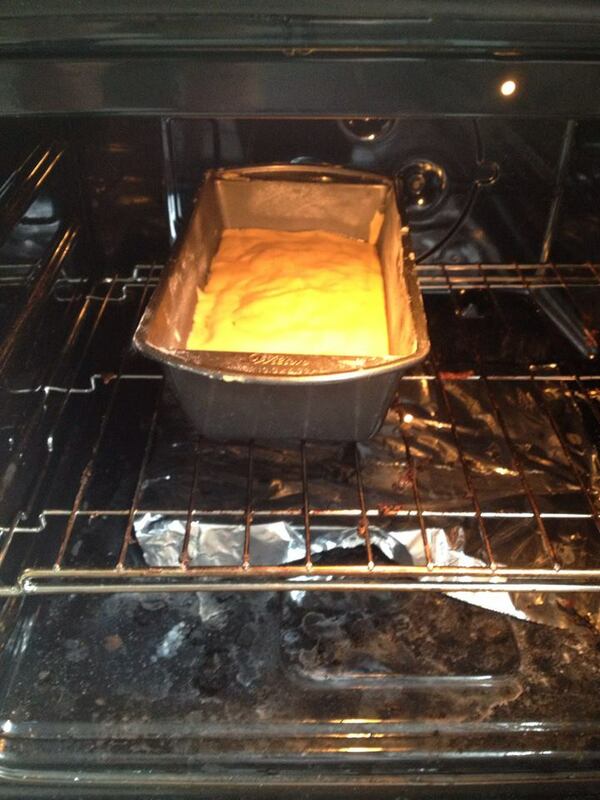 Grease and Flour your pan well so that your cake will come out smooth and with no hassles. 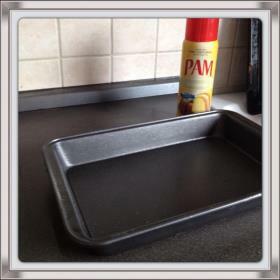 I prefer this method of greasing my pan because it never fails. Pour Batter making sure to distribute the pineapple evenly in the pan. Bake at desired time and temperature. Using a toothpick inserted into the cake, if it comes out clean your cake is done. 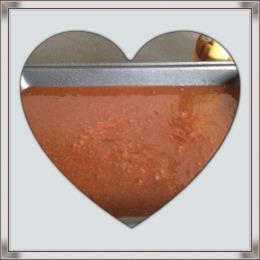 Its going to have a golden brown color. 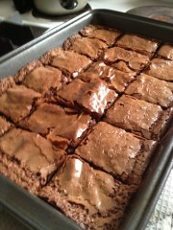 Allow to cool in the pan on a wire rack for about 10 minutes, then take out of pan and put onto cake plate. Prick the cake with a toothpick, making holes for the pineapple reduction. Brush on the juice with a pastry brush. I let it sit awhile before I ate it. 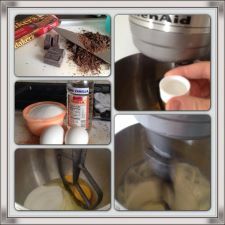 I will be making this cake again but putting a twist on the flavor. 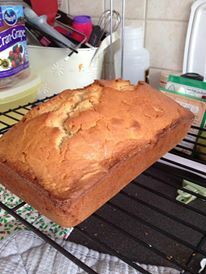 I added rum to my cake to give a bit of extra pop. I felt that I could improve upon this cake with a coconut twist. So that will be posted in the near future. Thanks for stopping by hope you enjoyed the look.